When I was teaching this was my policy except for a slight modification. Students were expected to read nightly, study for spelling tests which parents insisted were necessary, play outside, spend time with the family playing games and talking. I had learned several universal truths about homework. The students who needed review or practice or finishing of the work done at school, had no help or encouragement at home and the incorrect homework just reinforce mistakes , mastery of the concept harder due to relearning and clarification of the mistakes. The students who didn’t need homework often had helicopter parents who insisted on neatness and perfect papers. What is the point when their student already knew the work. Of course there could be individual assignments for homework but impossible for teachers to spend this much time. I felt very strongly that if it was important for the students to do the work, it was equally as important for me to correct it and give feedback to the students.. . . . not busywork which was only given a * that it was complete. Children need time with their parents talking about the election, events in news and school. And they always need to read. . . . . . books which they choose and enjoy, talking about. I really think that students would and do benefit from parent’s reading to them even when the child can read. This opens up discussion. One family I taught had a Dad who read books like Harry Potter to his children and they discussed the book. Each child was an amazingly talented student who looked forward to their “reading with Dad”. I also discovered that the best writers are also readers who are constantly reading published writing for vocabulary and sentence structure. Think about it ! Insist on rigorous school where children work and learn all day long. After school, encourage them to learn social skills while playing, learning, and spend quality time with them at night! Eat together as a family which has proven to be beneficial for the students. Finland is always near the top of best schools in the world, (See below) They do not have homework. It can and does work. I taught elementary school and all grades from K-6 except for first. I will concede that homework may be needed and beneficial for Middle School and High School, but not excessive. . . . hours and hours! They should have time for family, sports, and extracurricular activities such as scouts and church youth group. So, does this manage to convince you that moving to Finland may be a really great idea? This infographic was made on behalf of OnlineStudents, the popular online resource of informative articles. 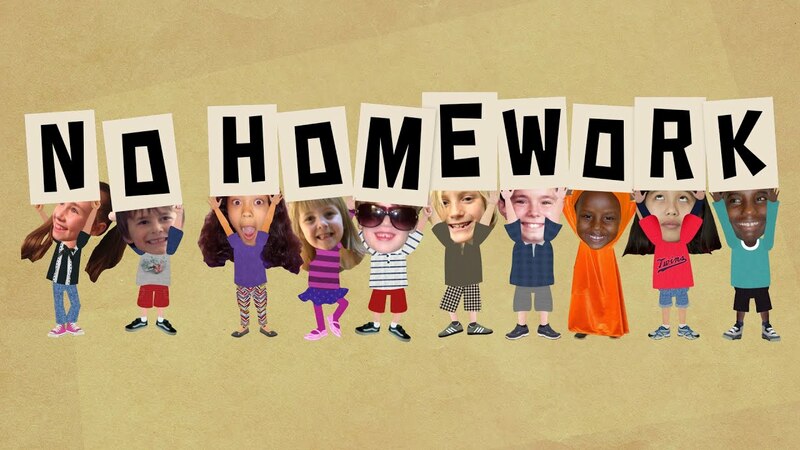 4 Responses to No Homework Policy ! How refreshing to read this, Anne. While we had some homework when I was in Elementary school, until 6th grade it was minimal and easily done each evening, complete with parental supervision and assistance. In Sixth grade we had a teacher who had some personal problems that she took out on the students, and would go home each afternoon, begin homework immediately, and still be doing it at bedtime. It eventually became such a problem for both students and parents that she was removed, but it sure left a scar on all of us along with memories that seldom fade. I can remember being so ill at times it was hard to even see the books, and yes, there was homework in each subject we studied. I sobbed when told to clear my stuff off the table each evening to make way for family dinner, then had to almost get into argument with parents when I brought the books back out as soon as dishes were done. For the first time ever, there was no time to read for the love of reading, and everyone in the class would turn in incomplete homework the next day. The big thing I learned from that entire time was how to appreciate the good teachers, and to let them know how much I appreciated them. Kudos to you, Anne. It would have been so nice to have had a teacher like you. Oh how lovely, Angie ! I loved teaching. . . I couldn’t believe they paid me to have so much fun with the kiddos. You are so right the teacher makes the difference that can last a lifetime. . . . either positive or negative to the student’s lifelong learning! .